The Prefab Sprout leader discusses the reissue of his most difficult album and the future of his pop project. Of all the material Sony Music could have reissued of Prefab Sprout, the ever-evolving pop project led by singer-songwriter Paddy McAloon, it seemed unlikely the label would have directed their resources toward a new edition of the sweeping neo-classical/ambient chamber piece I Trawl The Megahertz. Originally released in 2003 under McAloon’s name only so as not to, in his mind, confuse fans of Prefab Sprout, the work carries some melodic echoes of the glittery pop heard on 1990’s Jordan: The Comeback or 1997’s Andromeda Heights but in a stretched out and clipped form, joined by string and horn flourishes and samples taken from radio broadcasts. And leading it off is the 22-minute title track, featuring a female voice that floats in and out, telling the story of her life through fractured memories and heartbreaking admissions. Megahertz came out of a difficult period of McAloon’s life, when he went through multiple eye surgeries to deal with detached retinas. Unable to read or watch films, he instead listened to audiobooks and the radio, picking up snippets of dialogue and sound that inspired the free-floating, dream-like tone of the album. At the time of its release, it was brushed aside by critics and some listeners. To have it back in circulation today feels appropriate, especially in a world that finally caught up with the similarly diaphanous turn that erstwhile synth-pop group Talk Talk took in the late ‘80s. It also feels like a minor triumph for an artist who has been flying under the radar, particularly in the States, for the better part of two decades. If you’re unfamiliar with McAloon and Prefab Sprout, don’t worry yourself too much. The U.K. band never achieved much more than cult success here thanks to some college radio love for tracks from their 1985 album Steve McQueen (or, as it was known here in the U.S., Two Wheels Good) and Jordan. Even as the group has shed members (it’s essentially a solo project now) and new material has been slower to arrive, McAloon has quietly earned a place in the pantheon of great pop tunesmiths, with folks like Rod Stewart and Natalie Prass singing his praises and his songs. This reissue also feels like the start of what could be a momentous 2019 for McAloon and Prefab Sprout. A new album—a concept record about famous/infamous women entitled Femmes Mythologiques—is slated for release this fall. There’s a forthcoming Record Store Day release of the acoustic versions of songs from McQueen that were originally released as part of a deluxe reissue of the album in 2007, as well as more vinyl reissues in the works. But perhaps the most surprising place you’ll likely hear McAloon’s music is in a forthcoming Spike Lee film. The director has already made use of a couple of Sprout tunes in his Netflix series She’s Gotta Have It but McAloon is also writing material for a fresh joint from the Oscar-winning filmmaker. Paste spent some time on the phone with McAloon recently to discuss the inspiration and reissue of Megahertz, his huge backlog of unreleased materials, connecting with Spike Lee and what’s in store for the future of Prefab Sprout. Paste: I wanted to ask first about the spoken material that’s in the title track for Megahertz. Was that writing that you did or were you culling from other sources? And if it was from elsewhere, where did you pull that all from? 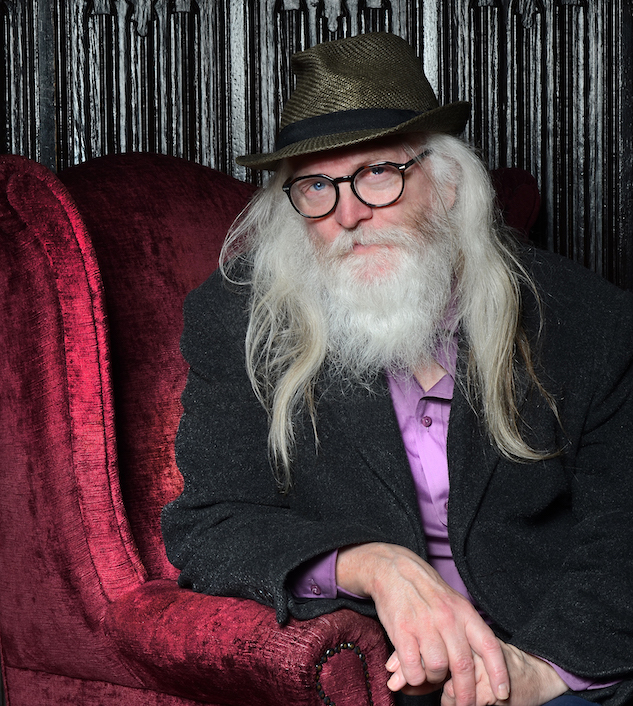 Paddy McAloon: It came from a mixture of things that were happening in my life. I’d had eye surgery and I wasn’t allowed to read. I had to lie down on my back a lot. I’d been listening to a lot of audio tapes and radio programs. I heard on some kind of late night show, a couple of things. A young woman was saying something about her husband wandering away and leaving her and her daughter. And I heard that sentence, which is on the record, “Your Daddy loves you. Your Daddy loves you very much. He just doesn’t want to live with us anymore.” I captured this on cassette. I’d been writing instrumental music because I like music without lyrical content sometimes. It was when I was working on this track that I thought, “I’m not sure that my music is strong enough to stand by itself, but what if I put some words over the top that aren’t strictly my own.” The things that I’ve heard that sounds like a lyric. That was what the approach was: an attempt to make a record that was in my style, my choice of the words, but I hadn’t sat down with a piece of paper to write the lyrics. What happened was, I got a few of these things from the radio. As you can imagine, you’d wait a long, long time until you found enough stuff to make it a kind of crafted piece of writing. So, I did have to fill in a lot of the gaps between these sentences. And, in the end, I just came up with this idea that it was a woman talking about her life. But were there also autobiographical elements or were you just looking completely outside of yourself and trying to write from a foreign perspective? Loss, I think, is autobiographical. Whether we pin it down to a particular person or some situation in our own life, we all, at some point, have experienced it. I was drawing on those feelings that there’s someone you will never see again that you might wish you could see again. I put those thoughts into the voice of Yvonne Connors who was reading the material for me. I tried to make her persona a more feminine perspective than my own and I also tried to heighten the language so it was almost poetic. It didn’t tell you everything on a practical level, but the vocabulary that was used and the phrases that she would choose would be slightly more extreme than if you were just chatting to one of your friends. So, it has autobiographical elements to me, but it took on a life of its own. I imagined this woman simply narrating the story of what happened to her. In other interviews, you’ve talked about the influence of certain classical composers on this album but I was curious if there were more contemporary artists or albums you were thinking about or trying to evoke with this material? Somebody reminded me recently…I felt like I was getting old because it was an obvious point he made to me and I kind of hadn’t acknowledged while we were talking. But he asked me a similar question. And I said, “I liked that tonal language, the harmonic language of Ravel which fed into jazz and Debussy, which fed into late 20th century pop music, which often has a feel of stuff that was invented a lot earlier.” And he said to me, “What about Miles Davis and things like Sketches of Spain?” And…God, you know, he’s right. In the 20 years since…1999 was the year that I did the demo of the piece, it didn’t come out as a record until 2003, so it’s 20 years old really. In the intervening years, I had forgotten a major thing: that if you put together gentle percussive sounds and the plaintive voice of a trumpet or of a muted horn, then you really have quite a debt that you owe to Miles Davis. I just kind of put this to one side. When I think of Megahertz, I think of the long track where Yvonne is speaking, so I have a bit of skewed picture of my own work. But I do like modern…I suppose it depends on what you call modern. I like John Adams. You may have read me talk about that. I think Harmonium is a fantastic piece of work by a composer who clearly liked Stravinsky. I can hear in his work the sense that you find in Symphony of Psalms or Symphony of Wind Instruments. There’s a kind of melodic component there with harmonies that aren’t so far out that you’re left wondering where you are. Like you mind find on a Boulez record or something like that. So I like John Adams as an example of someone who clearly has being paying attention to rock music. Sophisticated, yet melodic. Very, very talented. Thinking about Megahertz and the new album you have coming out, as well as past work, like certain segments of Jordan: The Comeback and The Gunman, you seem to enjoy working with a theme in mind. I’ll tell you exactly what’s at the bottom of that. One of this is that I’m a big movie fan and of a director that will get something with theme and run with it. He might concentrate on that for a year or two. That’s what he’ll be thinking about. So I get the idea that you concentrate all your energies in one area. And the other thing is I’m always slightly desperate about what the next song will be. So if you were to say to me, “You can only write songs on completely different subjects,” I think I might panic. So what I think is, “Let me find a little area in which I can do three or four or five or six songs that are on the same theme” and then I relax a little bit. “Okay, if you don’t nail it on the first song that you write about a mythological character, you have a few more attempts at it.” So that’s where that comes from. It’s the sense that you might be getting to ideas too quickly. It’s a sort of nervousness is really what it is. That’s what I think anyway. It does lend unity to your stuff. People like it. If they don’t and think “I wish you had moved on and do a more general record.” I get both sides of the argument. It’s always interested me about your work because even an album like Steve McQueen felt to me like both sides of the record had themes in mind, with each one exploring a romantic relationship from different perspectives. Steve McQueen is a strange one for me because I wrote the songs yet I didn’t select the songs. That was Thom Dolby who produced it. So that gives me a slight distance from the music because, to my ears, it sounds like someone who’s full of Catholic guilt, someone who’s always worried about something that he’s done. That’s who I hear it. It’s not like I’m trying to disown the mood of the record. I think we did a great job at it. Is it an easy thing for you to let go of the reins like that during the recording process? These days, you’re handling all of the recording work yourself at your home studio. Is that where you feel most comfortable or would you like to have another set of hands in the mix? I ask myself that all the time. I think circumstances mean that it’s more comfortable for me to work by myself. With the hearing, I can’t be around bass and drums hammering away. But the other side of it is, yeah, I do like to shape what I’m doing. I do like that control. But I’ve lost something along the way. I’ve lost the beauty of real instruments being played by people. I’ve lost the interactive element that you do have. I’m trying to think of ways to reinstate all of that without it costing a fortune. I’m 61 now and I would be embarrassed to be asking a record company to throw a lot of money at me. Simply because if you’re throwing a lot of money at a 20-year-old, there’s a chance you might get it back. The kid might have a long career in front of them. Wheres with someone like me, you’ve got the back catalog and there are people who are very sympathetic to us, from the head of Sony on down. They are very protective of what we do and I get on very well with everyone working on it. But you know I would be embarrassed to ask for the kind of money that would allow us to make a record where we all go and stay in a residential studio where we have to live for three months or four months. There are probably ways around that and most of them would involve working at a distance, using the internet. But personally I have not felt, in terms of my own health and hearing, confident enough to invest in new recording equipment because it might just sit there while I’m not well. I’ve already done enough of that in my life. My studio is full of high tech from the 1980s, which is not high tech anymore. I have a good friend who…we’ve said this to each other for about 30 years about each new keyboard that comes up, “That’s it. That’s the only thing you’re ever going to need.” That just never ends. I do have to say that it does seem nice that Sony has enough faith in you that they’re willing to throw all this money and promotional muscle behind what could be considered your most difficult album rather than insisting on a deluxe reissue of Jordan or something like that. “Hey, it’s Paddy’s Metal Machine Music.” It is a more difficult album because it’s not just a series of songs. That did trouble me when I worked on it. I love the record. I think it’s something to get lost in just the way you might go see a movie by a director who’s slightly more European and it wouldn’t be the kind of thing that you’d want to go and see with your family or have on television every week. That was my approach to it. This was going to be a little world that you might want to get lost in occasionally. I wanted to ask about the new album that is on the horizon. I know about the theme of the record but I was wondering if you could tell me simply what the music sounds like. It’s a homemade record. It’s not as luscious as Megahertz. It’s mostly three minute, four minute songs. It’s very melodic. If I can sum it up in a pretty glib, short way, it’s about almost any woman from mythology that you’ve ever heard about or any woman from history that you’ve heard about that would be very different in the flesh if you knew them. For example, Cleopatra is someone that books have been written about and plays have been written about and films have been written about. Or Helen of Troy. There’s a massive distance between they way they are regarded and talked about and the fact that they are a real person who got up in the morning and at some point had been a child. I don’t know why I hit on this theme. It might be because I have lived with women. I have a wife and three daughters. I’m the only masculine presence in the house. So I might have been thinking, “You hear all these stories about Mary Magdalene and Helen of Troy. What were these people really like?” That’s what underpins it. Parts of it are almost like a dub record, a slightly Jamaican thing. I don’t think when I talk about it, I do it much justice but that’s the area that I’m coming from. Catchy songs. The melodies are strong. It’s not avant garde in the construction of the music. There’s the verse, there’s the chorus, there’s the middle eight. It’s a small record in terms of its ambitions but I hope it has enough to satisfy people. So much has been written about the vast amount of unreleased or unfinished music that you have in your archives. Is there one project among those that you would love to take off the shelf and finally complete? Unfortunately there are so many of them. One of them is a Christmas project. It’s not terribly ambitious. It’s just my version of something like Phil Spector’s A Christmas Gift To You. I think I started work on it in 1985 when “When Love Breaks Down” came out and I’ve been thinking about it and writing it but I put it aside. One of the songs Rod Stewart recorded on his latest album as an additional track and he really does a good version of it. One called “Who Designed Snowflakes,” Spike Lee featured the demo of the song in She’s Gotta Have It on Netflix. From a cold financial point of view, something like a Christmas record would be good. Let’s not overlook the show business aspect of this. What else is happened is I kind of forget about them, to be honest with you. I can write two to three albums in a year and I’ll put them in a box. Some of them have aged well, some of them not so well. Someone might think, “Okay, that was very 1990-ish” and something else like 20th Century Magic that was something where I wish I had just recorded the songs but I ran out of time. And that’s a silly position to get yourself into. That does lead me to a question I wanted to ask about how it feels to have someone like Rod Stewart singing your praises and now singing one of your songs? It just amazes me that he’s ever heard of Prefab Sprout. That’s the basic feeling. The very first time I knew he liked Prefab Sprout, I was sitting on a bus and I had bought a magazine and he was interviewed in the magazine. I read this sentence where he said, “Groups don’t seem to stay around very long. They’re here one minute and then they’re gone.” At that point…I think this was about 1995…I started to think about myself and I didn’t think we were one of those groups that were there for a little while and then disappeared. And then I turned the page of the magazine and it said, “We only listen to two things in our house: Muddy Waters and Prefab Sprout.” I was absolutely shocked. Then I was talking to someone from Warner Brothers who said to me they’d been in the studio with Rod and he’d said, “I wonder what Prefab Sprout would do with this” and my friend said, “Do you want me to ask Paddy to come over here?” And he went, “You mean, you know him?” I had got the picture over the years from various people that he loved Prefab Sprout. I was very flattered and very pleased and obviously I thought that made him a very smart gentleman. It’s also interesting to hear that Spike Lee has a vested interest in your music, using it in She’s Gotta Have It and this new movie he has coming out. I have to thank his brother Cinque. He introduced Prefab Sprout to Spike because when I met him, he was quite lovely. Very funny. Very charming. And one of the first things he said to me was, “Full disclosure. I’ve never heard of you.” And then he said to me, “Why did you never play America?” And I said, “Well, I just don’t feel that I really wanted to. I’m not insulting America. I was just a writer and didn’t want to play anywhere.” He was kind of looking like he had missed us.